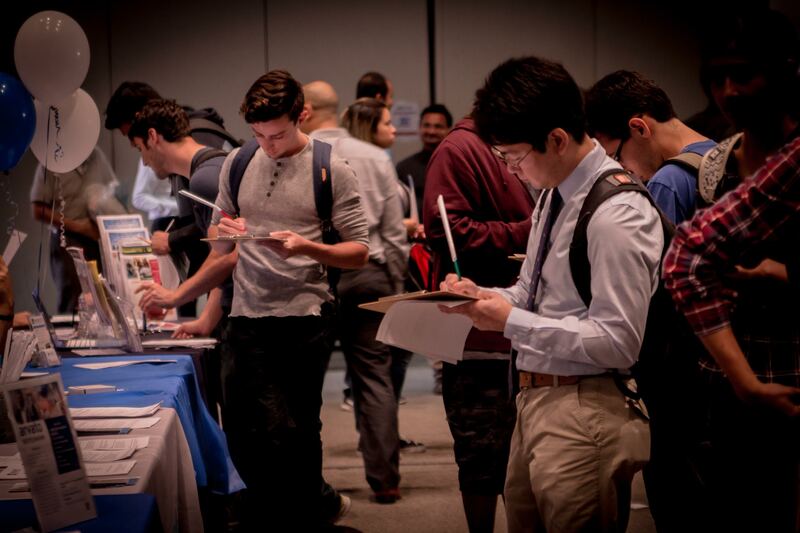 Recent CSUN graduates write down their contact information at last year's job fair. Photo provided by Sarah Le Long. 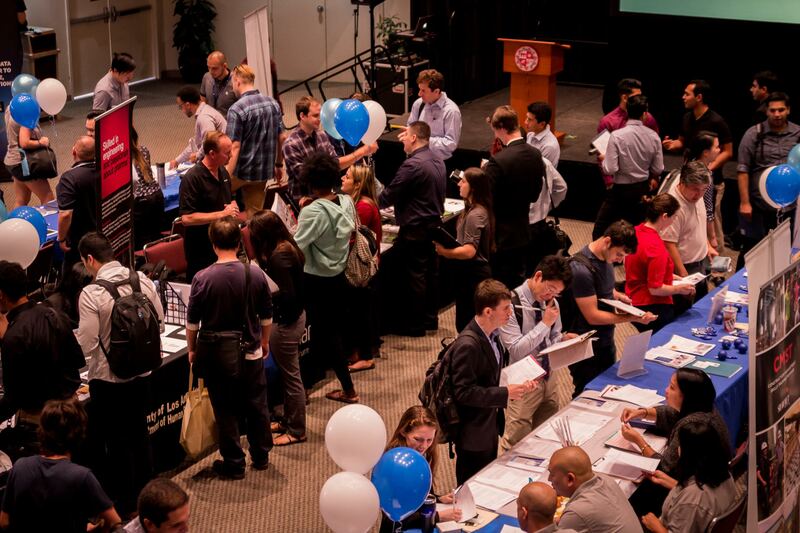 Students meet employers and score job interviews at last year's "Recent Grad & Alumni Job Fair." Photo provided by Sarah Le Long. Besides the excitement of earning a college degree at California State University, Northridge, many students also feel anxious about where they’ll be working at after graduation. Students looking to put their stress at ease will have the opportunity to network with company representatives, share their resumes and set up job interviews at the “Recent Grad & Alumni Job Fair” on May 23 from 10 a.m. to 1 p.m. at the University Student Union, Northridge Center and Grand Salon. “Our objective for this event is to have [recent] students and alumni practice their job-seeking skills, highlight their previous work and gain employment,” said Sarah Le Long, career fair event coordinator and SunLink administrator. Some of the more than 90 companies who will be present at the event include Kaiser Permanente, the County of Los Angeles Department of Children and Family Services, IT Creations, Universal Studios and Logix Federal Credit Union. Employers will represent a variety fields, such as business, non-profit, government, healthcare, arts, technical and social services. Career service opportunities like this are available for free to CSUN alumni for up to one year after graduation. Alumni who graduated more than one year ago can attend this event by becoming an Alumni Association member. For a complete list of the companies in attendance, click here.